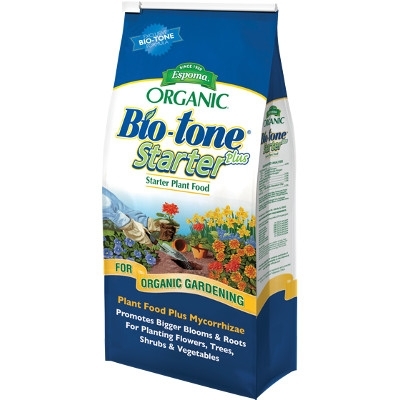 Bio-tone® Starter Plus is an all-natural fertilizer that is combined with a stronger concentration of our beneficial bacteria along with both endo and ecto mycorrhizae. The ideal starter fertilizer, originally designed for professionals. Bio-tone® Starter Plus will increase root mass and help avoid transplant loss in difficult planting conditions.